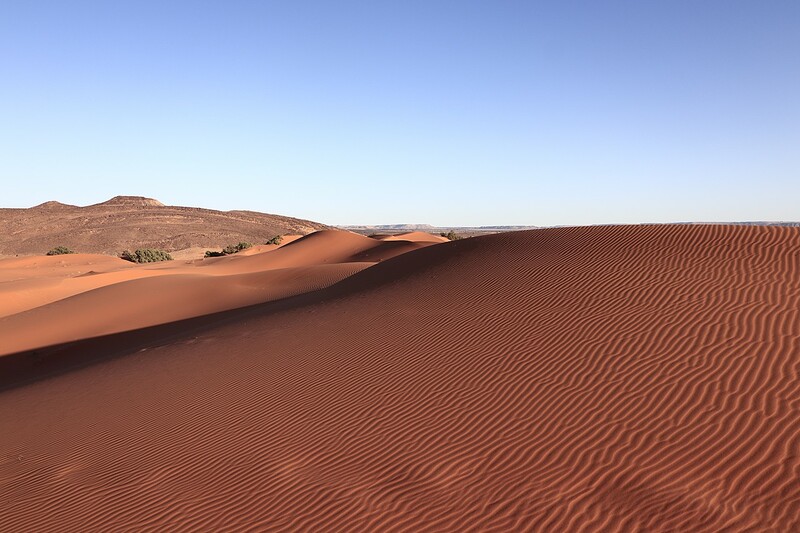 Anzal Tours is a privately-owned and operated Moroccan company. Anzal Tours (Anzal Tourisme Services, ATS) prides itself in customer satisfaction through its professional commitment and attention to detail at all times. Larbi Anzal is the owner and MD of Anzal Tours. Ian K Hardie supports and assists Larbi with his company, Anzal Tours. Larbi and Ian operate together. Ian helps to plan and develop tour itineraries for Larbi. Larbi is involved in all aspects of the running of his company and implementing the company's operations and service provision to his clients. 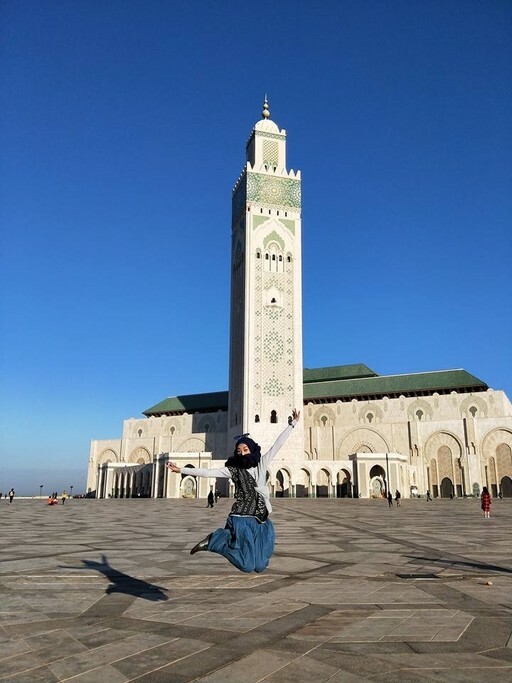 Larbi and Ian's combined comprehensive Moroccan knowledge and understanding of the many and varied needs of all types of traveler allows Anzal Tours to offer the highest quality of trip provision. 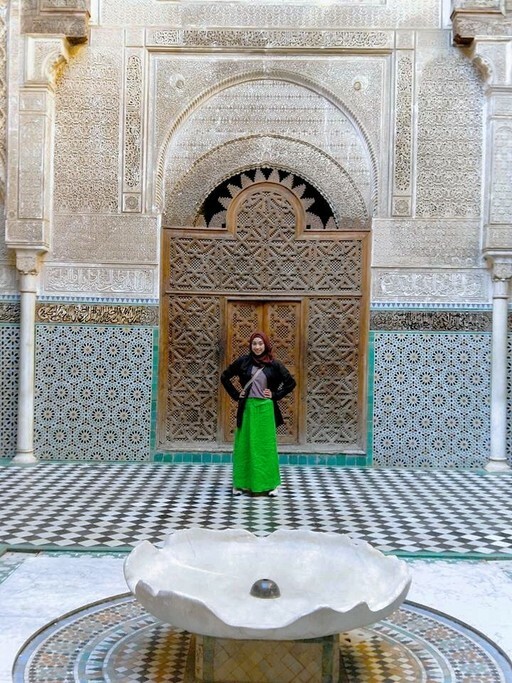 Based in Marrakech, Anzal Tours is at the heart of unrivaled Morocco tour options. 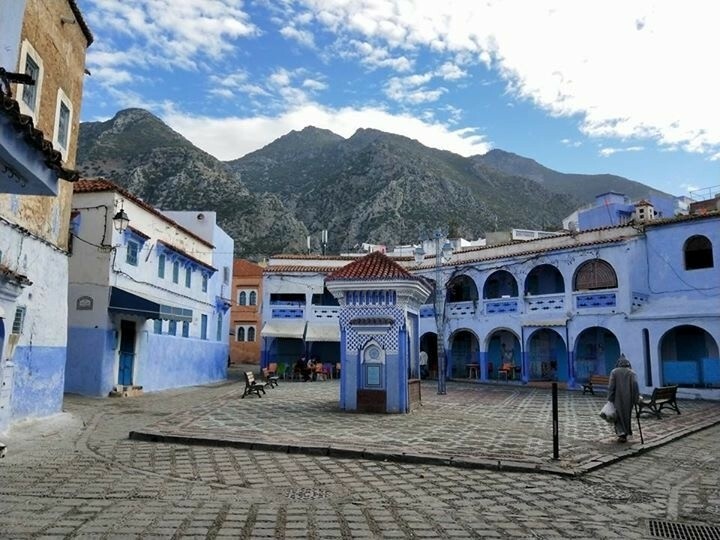 Locally, in Marrakech, on the Marrakech Plain, amongst the Jbilat Mountains, in the High Atlas, in the Sahara and on the Atlantic Coast, Anzal Tours can offer exceptional combinations of tour experiences. The Anzal Tours website describes a selection of some of our special tour programs. 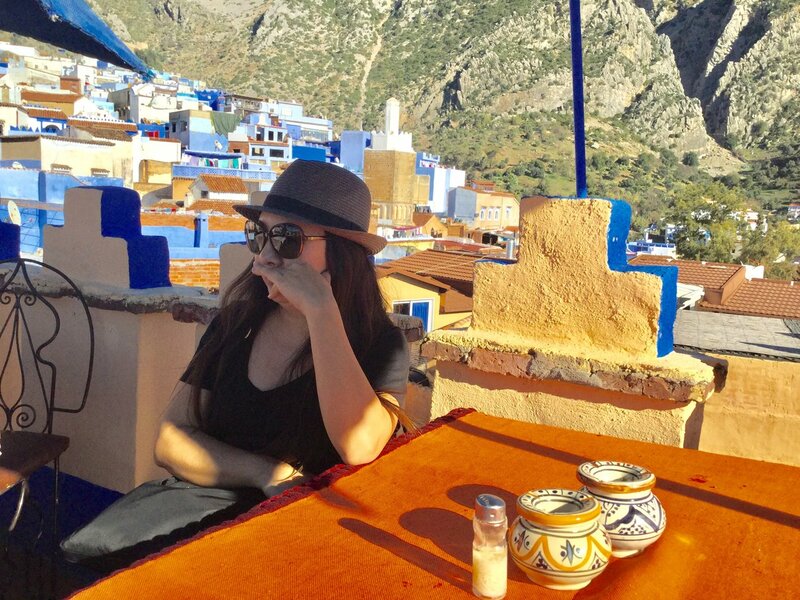 Of course, amongst those, Anzal Tours offers the “must do’s” of Morocco, they cannot be missed. But Anzal Tours can also offer exceptionally different additional options to lift your tour to new heights. This is the “gap” that Anzal Tours identified a few years ago. 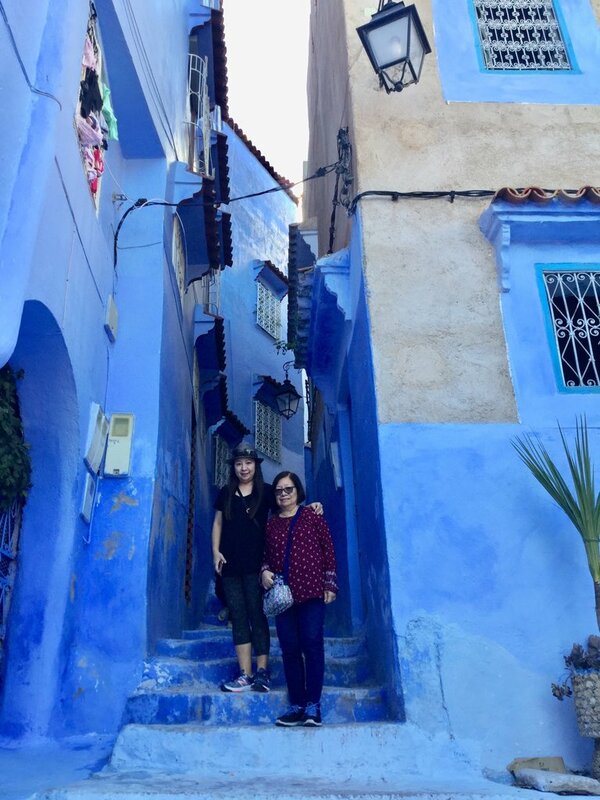 My mom and I did a custom 9-day tour of Morocco in December of 2018. Booking the tour, I communicated back and forth with Larbi - he was always very timely in his response and very professional. Said, was our driver and guide for 6 days (no guide in Marrakesh) and he was wonderful! My mom and I had the best time. Said did above and beyond what he was supposed to do - even took us to some local places to eat and took me to Starbucks in Marrakech. "Thank you, Said. You are the best!" 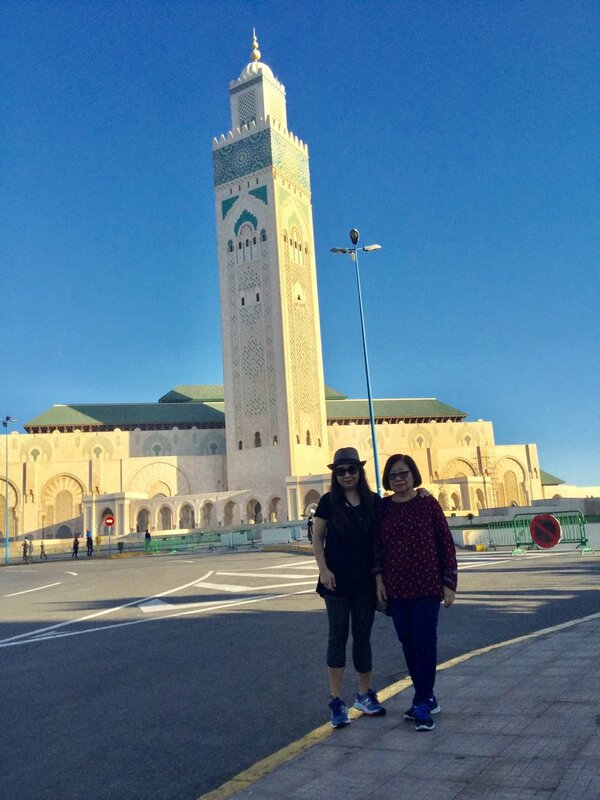 Tour started in Casablanca (Day 1) - we did not really spend a lot of time there since our flight arrived pretty late but we were able to see the mosque the next morning. 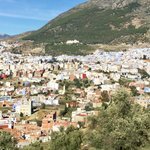 Day 2 - Chefchaouen - we loved this place - it was charming! Great place for those eye-catching Instagram photos. 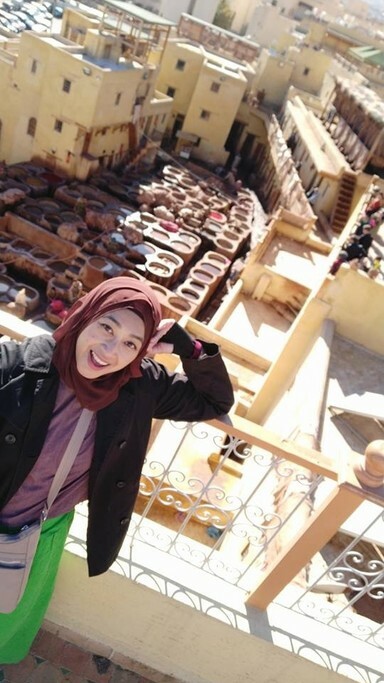 Day 3 - On the way to Fes but stopped off in Meknes - a smaller version of Fes. The shopkeepers were a little more forceful about selling so I did not enjoy this place as much. 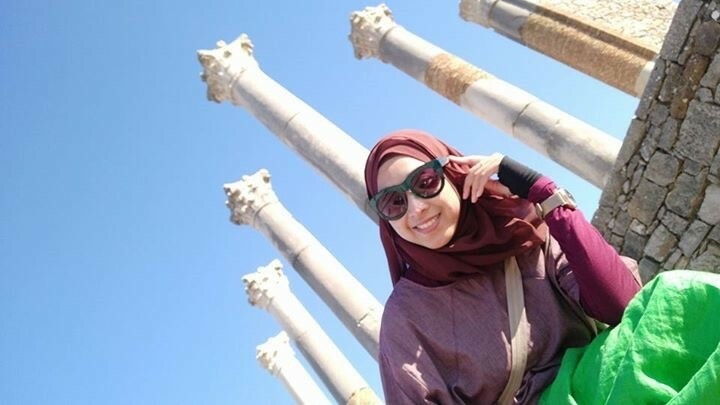 Volubilis - saw Roman ruins - nice place for photos as well. Arrived in Fes at night. Day 4 - Fes all day with a different guide. Our guide was El Hadi - he was great too! Explained the different things we were seeing. Guided us through the medina (which was confusing). Got some awesome deals on Argan oil, some scarves and pottery. Opted out of the tanneries - I knew my nose would not be able to hack it. Went to different sights as well - old city, new city, viewpoints from old watchtowers, where you can see great views of the city. Day 5 - En route to the Desert - stopped by Erfoud (where our guide Said - a resident of the city) - took us where we could purchase trilobites for my brother. Middle Atlas mountain - we stopped by and saw Barbary monkeys on the road - fed them peanuts and gave some stray dogs some of our leftovers from breakfast. 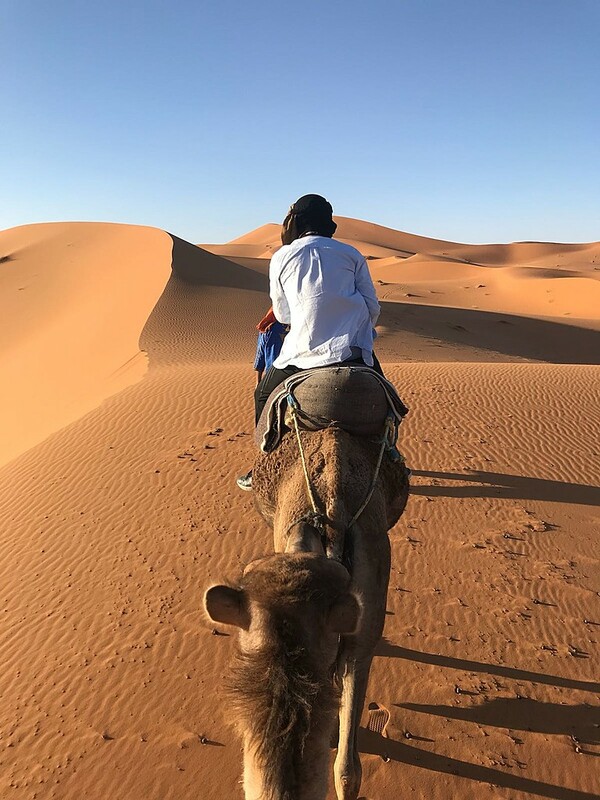 At the end of this day - we arrived in the Sahara desert - took a camel ride for an hour (our guide was Mustafa) to our camp. Great place to watch the stars. It was really cold!!! But I would rather be cold than hot, so just be prepared if you are planning on going in the winter. Day 6 - Breakfast in the camp. Cold morning but got up early to watch the sunrise, then another hour camel ride back to meet our guide Said. Saved some of the apples from dinner and fed it to our camels. We stopped by a local market (Rissani) then went to see Todra Gorge - were able to take nice photos here. We slept in Ouarzazate (nice sleepy town). Day 7 - Hiked up Ait Benhaddou - great scenery. Stopped off in a few places as well while en route to Marrakech. Arrived in Marrakech late afternoon. Day 8 and 9 - My mom and I did want we do best - SHOP. We also enjoyed watching the exciting shows in the Jemaa el Fna Square. We met Larbi in Marrakech - "Thank you for meeting with us, Larbi!" All in all, it was an awesome "once in a lifetime experience!" - Will we do it again? YES!!! Totally worth it. 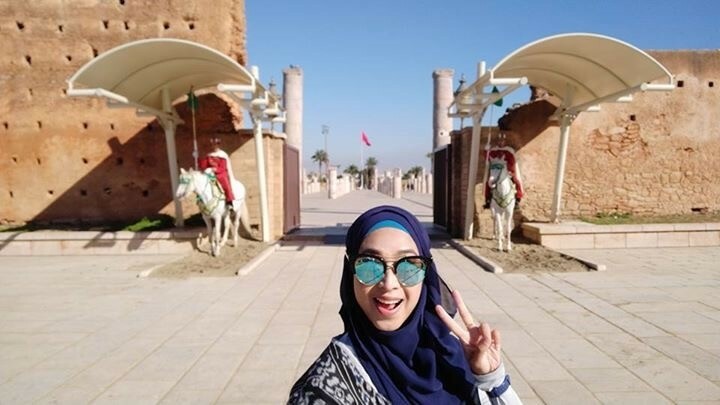 Overall, the cities tour of Casablanca, Chefchaoen, Fes and Marrakech was very good. 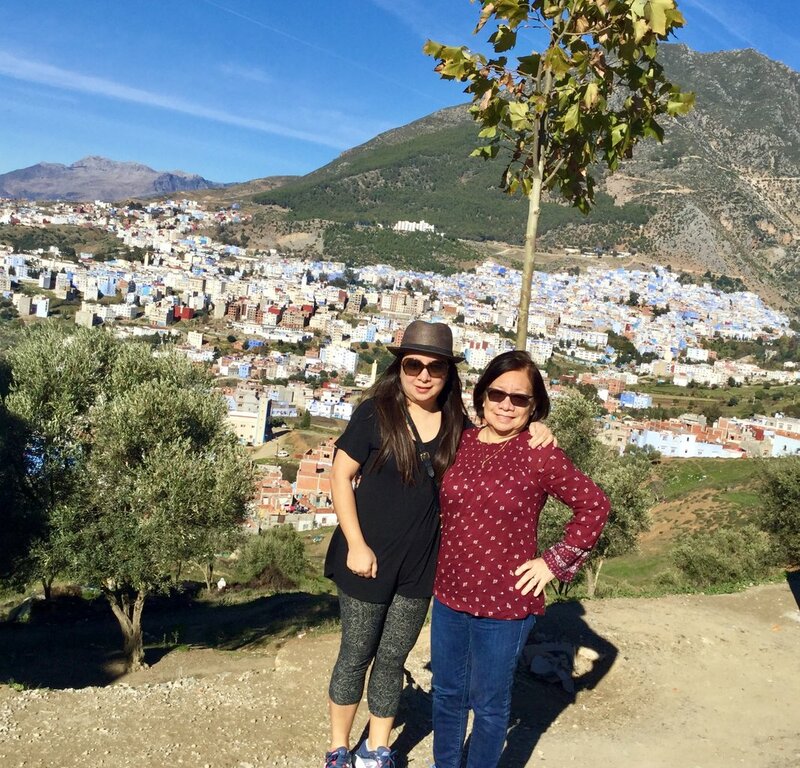 Our driver Said was very professional, accommodating and spoke excellent English. We felt very well cared for by Said. Our guide in Fes (El Hadi) was very knowledgeable and courteous. 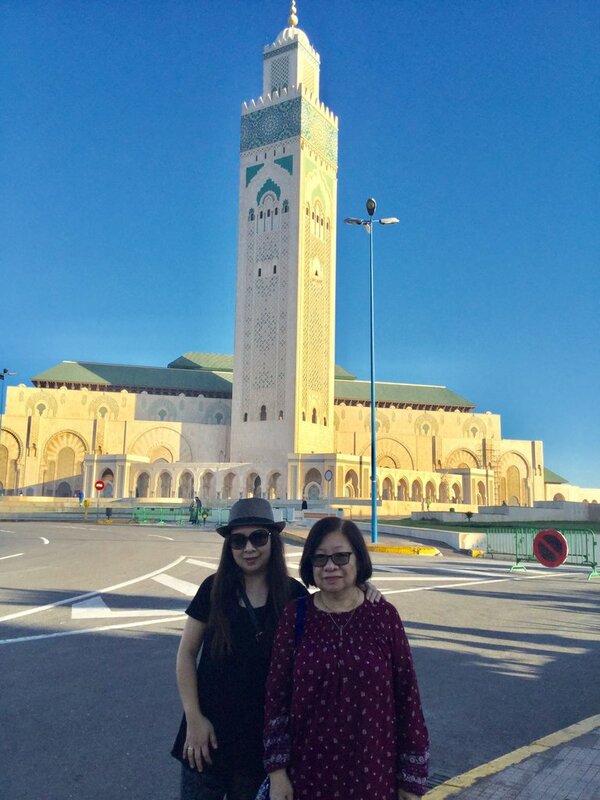 Luckily, we had the services of our driver in Casablanca which made for seamless touring around the city. Our only disappointment was the fact that we had stressed twin bed accommodation to the tour company but this was not provided at some of our hotels. 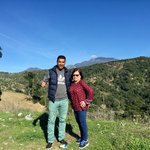 I would recommend KimKim and Anzal Tours to friends and family members. Many thanks for taking the time to write your review. I am very pleased to read your comments that suggest you enjoyed your tour. My apologies regarding the twin/double bed provision. I will endeavour to repeat the needs to all accommodation places so that our travelers receive what they wish. Many thanks for your recommendation to other future potential clients. Kind regards, Larbi. 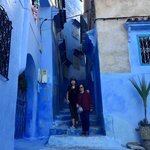 Our 13 day journey through Morocco was very memorable. Our driver, (Youseff) was very punctual and shared with us his personal knowledge and experiences along the many roads we travelled. 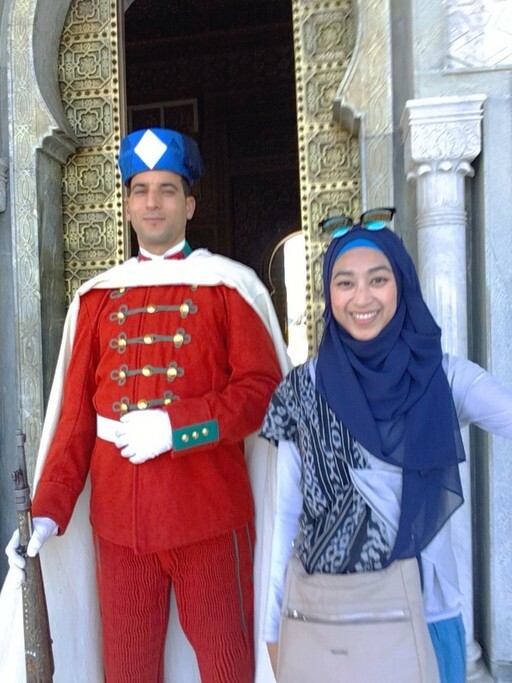 In the city of Fez, we were greeted by our local guide, Fatima. She had vast knowledge of the local markets and attractions within the city. Certainly one of the highlights of our trip. Overall our trip was well organized and tailored to what we were looking for. 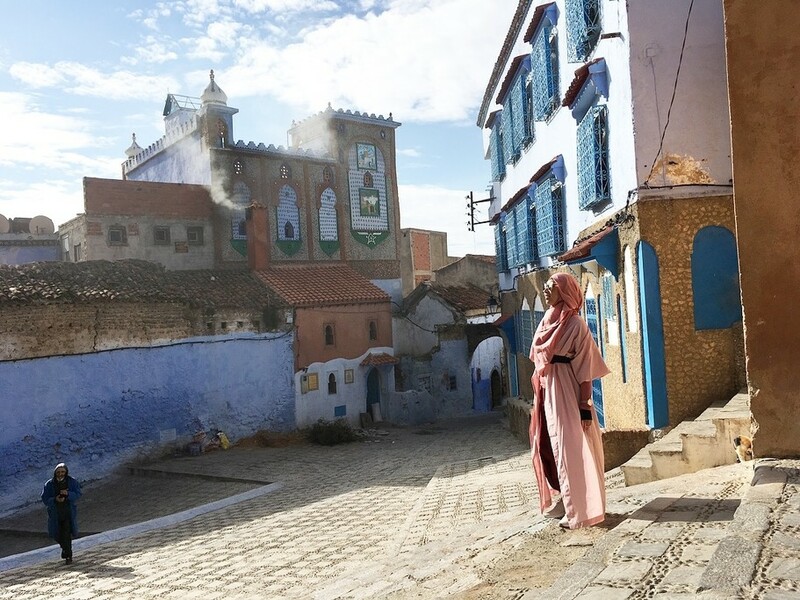 We plan on returning to Morocco again in the future, and look to build upon the experience we had. 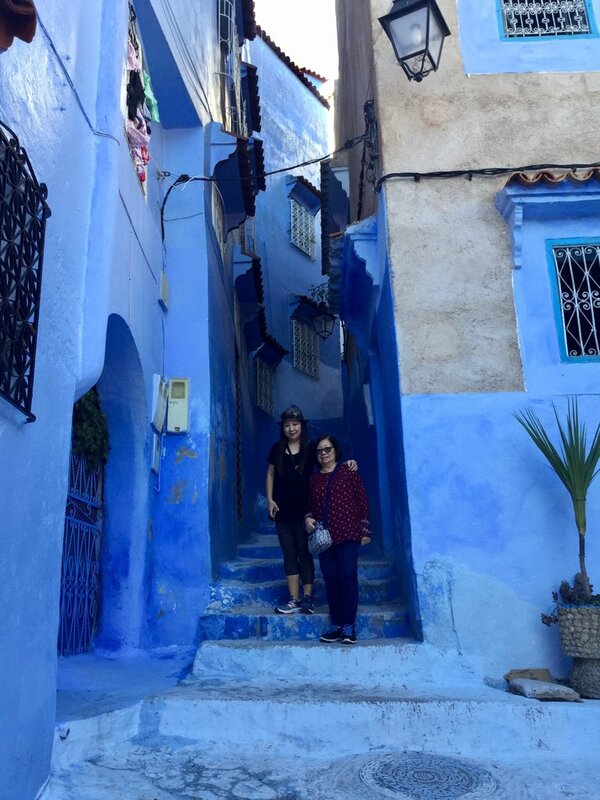 We booked a 10 day trip to Morocco visiting many of the cities including Casablanca, Fez, Ouarzazate and Marrakesh. 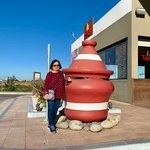 I was very pleased with the accommodations : Larbi booked us an awesome trip with really nice hotels and riads. 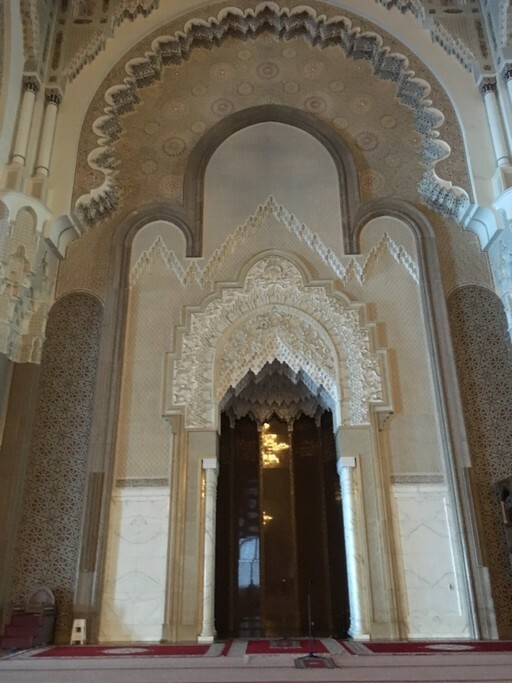 Our hotel in Casablanca was brand new (1 month in operation) and our raids in Fez and Marrakesh were right in the heart of the medinas with great trip advisor reviews. Our driver Mubarak was very sweet and patient as well as knowledgeable about the areas we were driving through. We even got to visit his mom and sister at their home! And all of our local guides were great, funny and caring (when i got sick). We are extremely happy with the level of service we received on all ends and the best part is I didn't have to lift a finger to book any of it. Thank you Larbi and the Kim Kim team for an amazing experience. 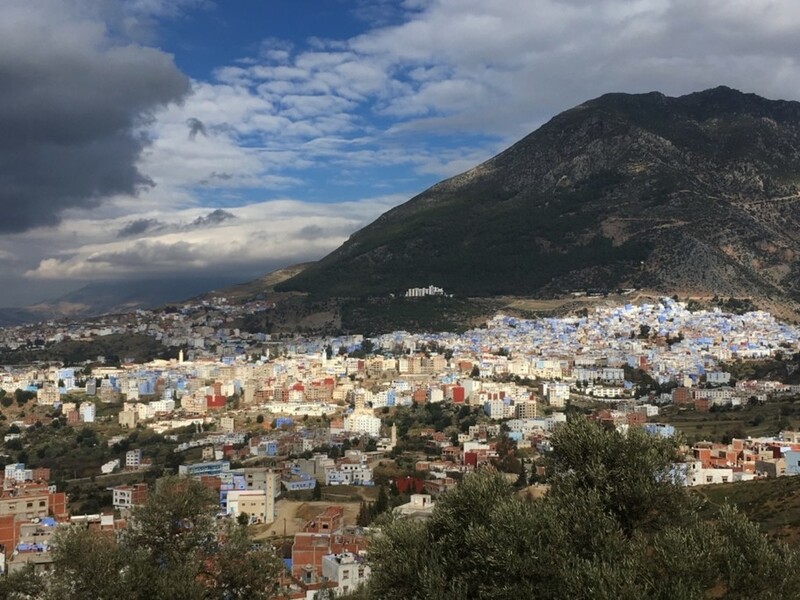 3 nights 4 days tour Chefchaouen/Fes very well organised by Larbi the local Morocco travel specialist, he was very helpful organising transport and accommodation, the Hotel and Riad was excellent, clean rooms, good meals (dinner) the staff at both places was helpful and attentive to assist our needs, information and directions . Our driver Mubarak was not only the driver but a tour guide as well, very knowledgeable of his country's history and places of interest for the foreigner. His driving was always defensive, courteous and safe. Hello Henry. It is very good of you to take time to write a review of your tour. I am very pleased that you all enjoyed every aspect of your trip. It was good to work with you, adjusting things as you wished till you had your ideal tour. 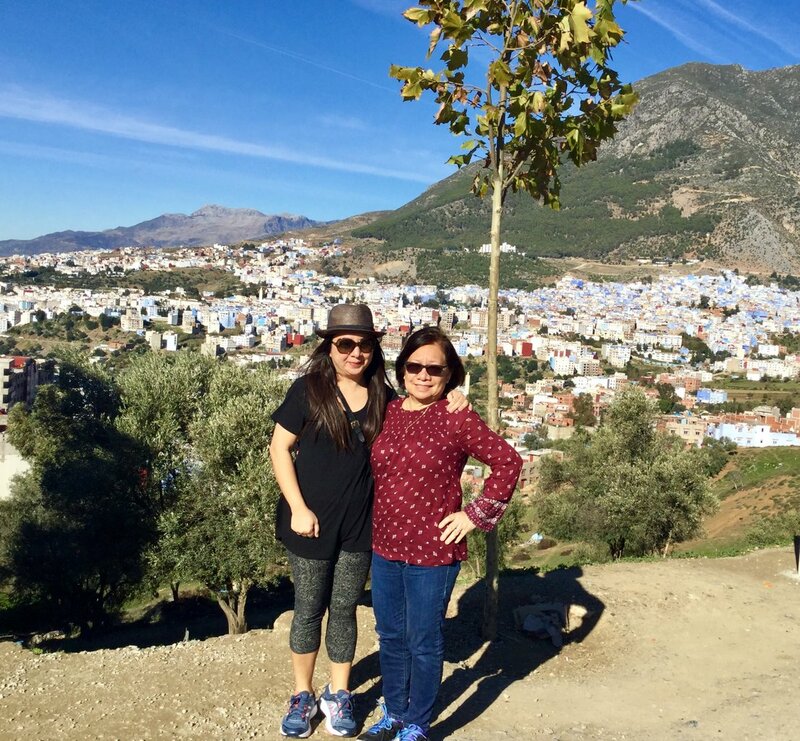 Creating your comprehensive, bespoke tour was a pleasure and we very much appreciate our appreciative travelers. 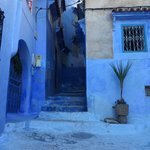 After your little taste of Morocco perhaps you will think to visit again and to experience other areas; just let me know! Larbi Anzal. Hello Angel. Your words are very warming indeed to read, many thanks. 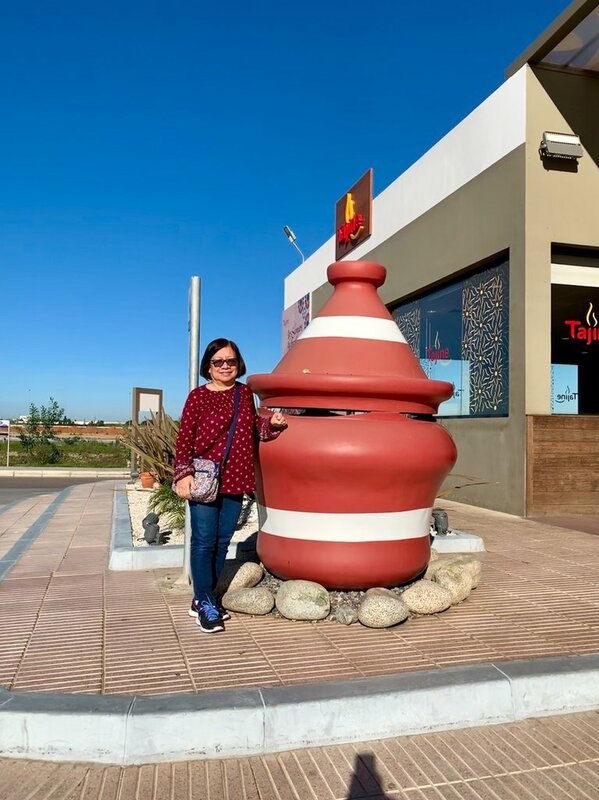 It is great to know that your trip to Morocco was so good and that you completely enjoyed all the provisions that we had provided for you. It was great to work with you to design your ideal tour to be exactly as you wished it to be. Your praise is fullsome; thank you very much for taking the time to write some lovely words. Larbi. 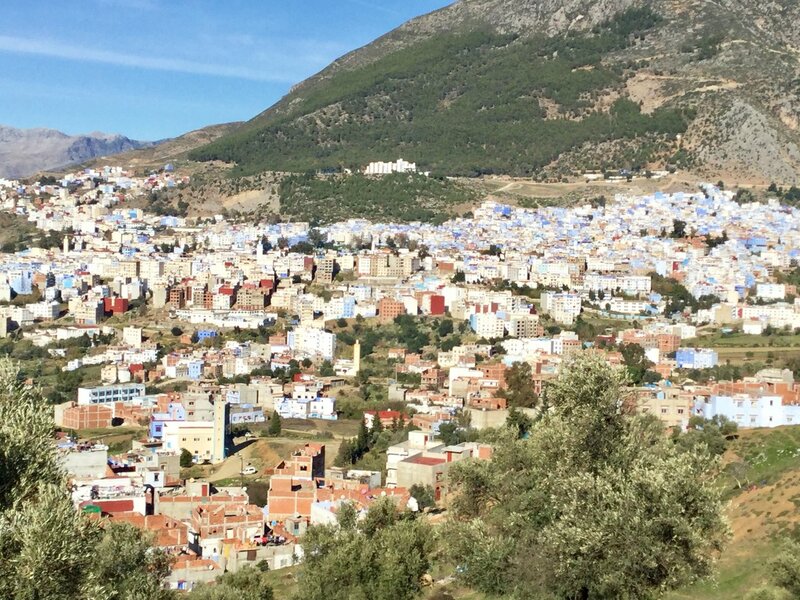 We spent 5 days and 4 nights in Morocco and it was great. One of the highlights of our trip was spending the night in the Sahara desert where we were able to watch the stars by the campfire while also enjoying some local music. Our trip was spent mostly on the road however which at some points of the trip can feel quite boring. However it is understandable due to the size of the country and the distances we had to travel between each place. 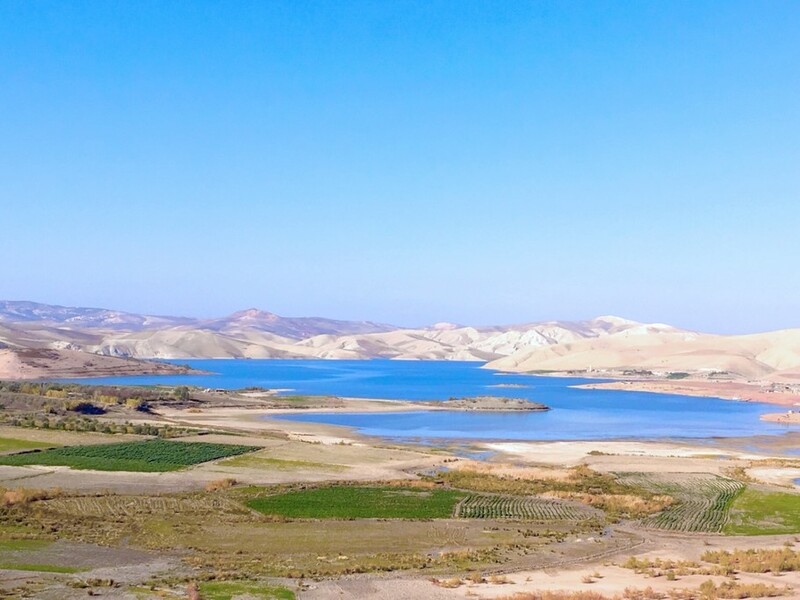 Nevertheless, the scenery during the drives were beautiful ranging from rocky mountains, desserts, and valleys. 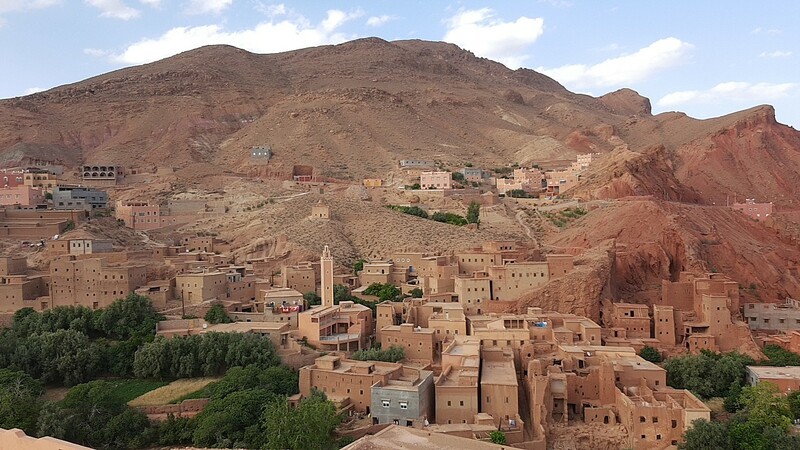 The cities we visited were also very beautiful we visited Ourzazate, Marrakech, and Boulmane Dades. 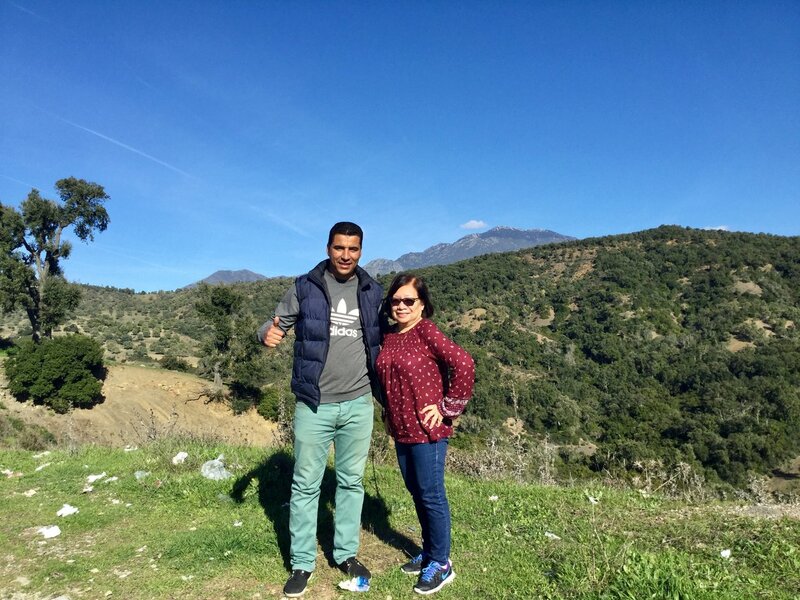 Our driver was very helpful and very informartive and we enjoyed the trip very much. The accommodation provided by Larbi was of very good quality. We opted for the 3* option and the places we stayed in were very clean and provide very good service. - we did not get information on the time that our driver would pick us up on the first and last day. 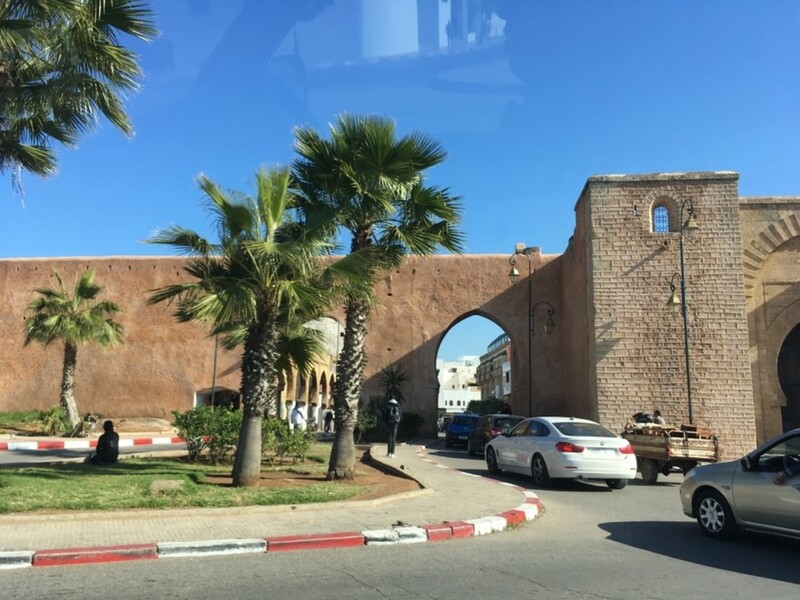 It would be more efficient for us and for the tour to provide us this info as we had to ask the hotel manager to phone Larbi a couple of times. 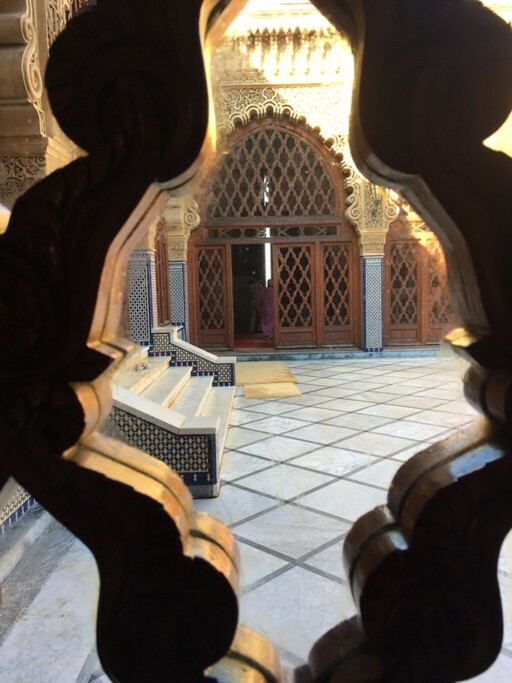 - when we were dropped of in Marrakech by our driver we had to walk to the riad we were staying and our driver agreed with a guy with a cart to take our baggage for 50 dirham. When we arrived I was forced to pay 150 dirham by him. 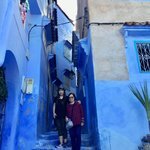 Despite some minor stuff we enjoyed our trip very much and would recommend using Larbi's services if you are going to visit Morocco. I am delighted to read your very positive and encouraging Review; many thanks for taking the time to write it and so fully too. 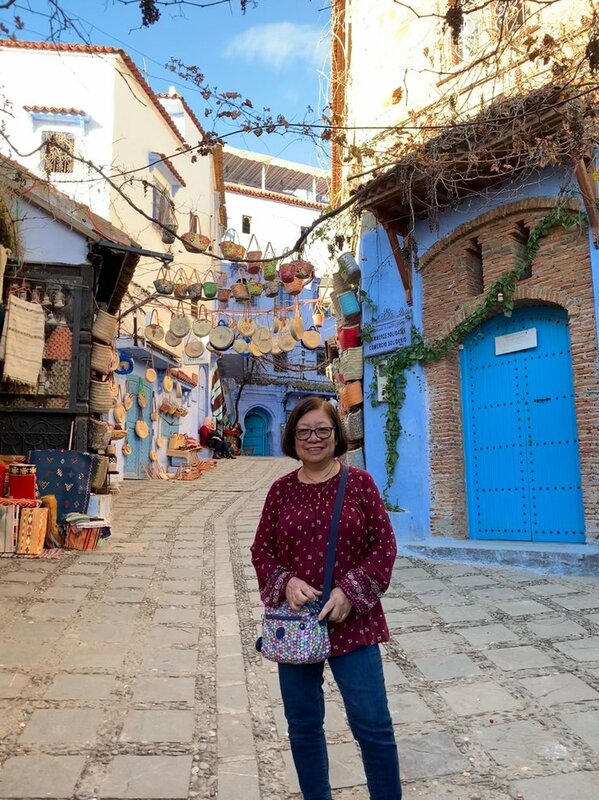 I am very pleased to know that you had a great trip and that you fully appreciated the magnificent sceneries and experiences of Morocco (as well as the Anzal Tours service provision!). It is a huge country - you must come back and see more! 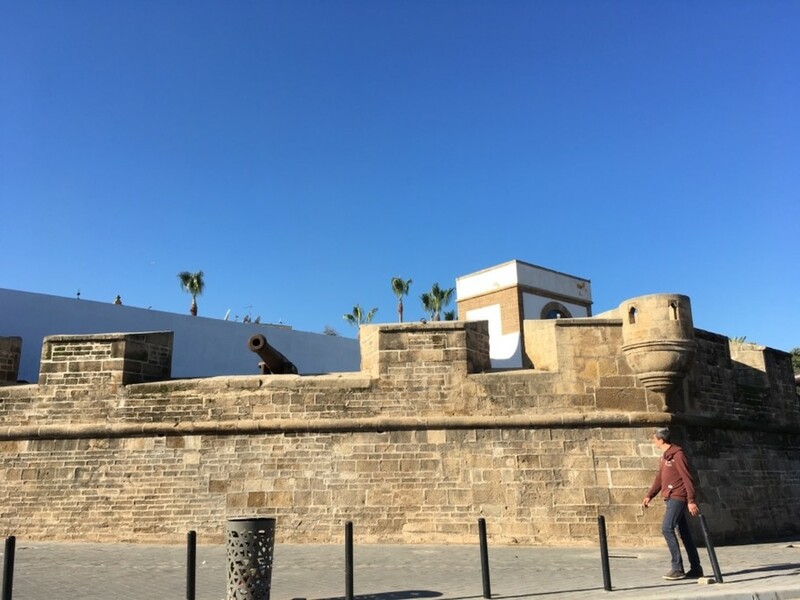 We have very good drivers and it's great to hear that you appreciated his services too; they do a demanding job and are a very important element of our tours; their input is significant to a tour's overall success. Good to get your "light negatives'' too, thanks; noted and action will be taken for the future. It is a bit tricky to control the luggage carriers, however; they are good and needed for what they do but they have tough lives so any chance to squeeze a little more dirhams can be the case sometimes, sorry about that. Many thanks for your personal recommendation too; I appreciate that very much. We genuinely strive in Anzal Tours to meet and exceed our travelers' expectations. Larbi. Larbi planned a wonderful trip for us. It was exactly what we wanted for the time available to us. His driver was excellent, obliging and knowledgable. When we had to make some changes nothing was too much trouble for Larbi. Thank you for putting us in touch with him. These are every encouraging words to read Yvette, many thanks. I am delighted that you trip was so exhilarating. Anzal Tours is very pleased that you delighted in the many "extras" that we provide for our travelers, such as close and meaningful encounters with local people; these are very special events. Great too that Said was such a great driver and companion; we are very pleased with our Anzal Tours drivers and we fully know how important a part they play in a trip's overall success. I will feed back to Said and I know he will be very happy to have served you so well and to your high satisfaction. 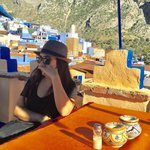 Thank you very much for young with us; Morocco is varied, Morocco is vast - great that you are keen to return; we will be happy to serve you again. Larbi. Overall trip was great, got to see a lot of the countryside and beautiful landscapes. From a logistics point of view would probably recommend to others to not do such a tightly packed schedule and enjoy more time in some of the bigger towns. Driver was safe and efficient, good English, initially not as interactive but soon warmed up to conversation. Unfortunately the day tour guides left a bit to be desired. 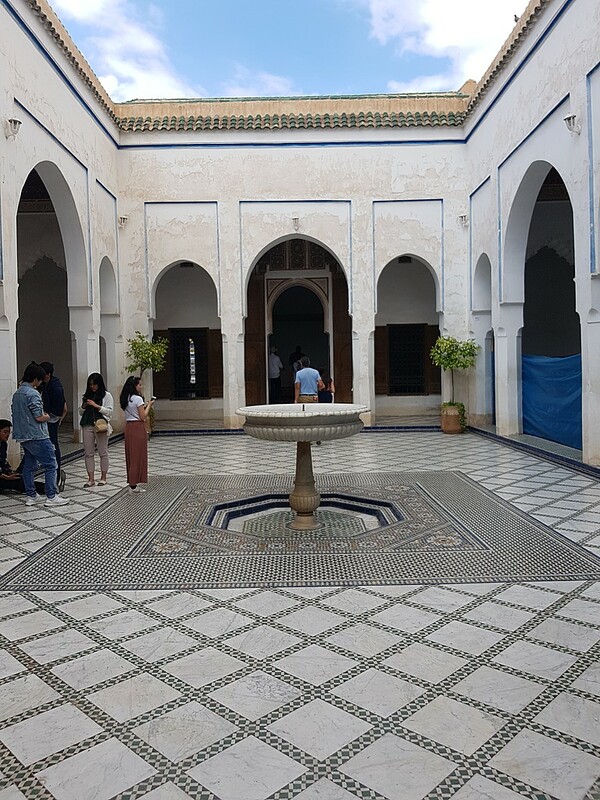 The fes guide whilst kind, too much taking to cooperatives and shops, would prefer more historic information and sight seeing. The Marrakech guide was lovely as well, more historic information which is nice, but once again too many cooperative stops. The mountain guide unfortunately was very odd, barely spoke to us for the entire day and did not have much information about local species of plants and animals, needed more persona. Larbi was great at listening to our needs and helping us arrange optional activities and transport so thank you for that. Accomodation was good throughout the stay, clean and comfortable. Ideally not all dinners would be included in future as we did could not finish the meal and it was a waste of food as well as money. Overall good experience, thank you Kim Kim! Hello Keira. It is pleasing to know that you enjoyed your trip. With the number of days that you had and the places you wished to see, yes, of course, the tour had to be at a pace. In all places it wot be good to linger longer, I understand. 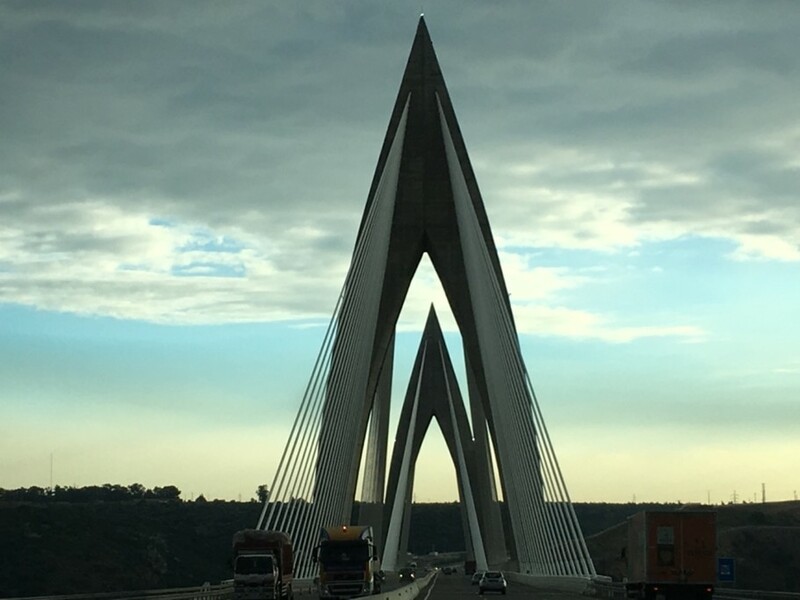 The driver is always an important part of a tour and it is excellent that he was both safe as well as helpful; it is always good to ask questions and to encourage, as you did, and then a strong rapport can allow for much information to be gained (as you gained). Guides too play their significant role as well. 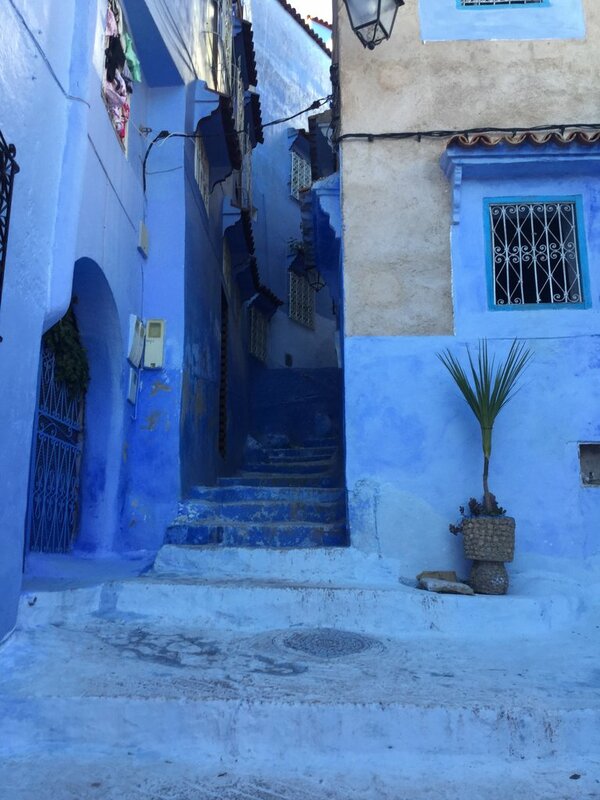 It is great that your Marrakech Guide was good but I do know that sometimes there is a leaning towards shops that is not what some travelers want. 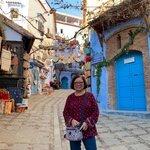 I will take this point on board and certainly look into who was your Fes Guide and discuss future approaches to our travelers if he wishes to work for Anzal Tours. I know the Mountain Guide well and know him to be caring and courteous as well as safety conscious; I see him quite often. But I will meet him and discuss his duties more fully to him and train him further into what can be discussed with out travelers. Great to know that the accommodations were good. I am pleased my own on-tour service/contact/availability to you was helpful. 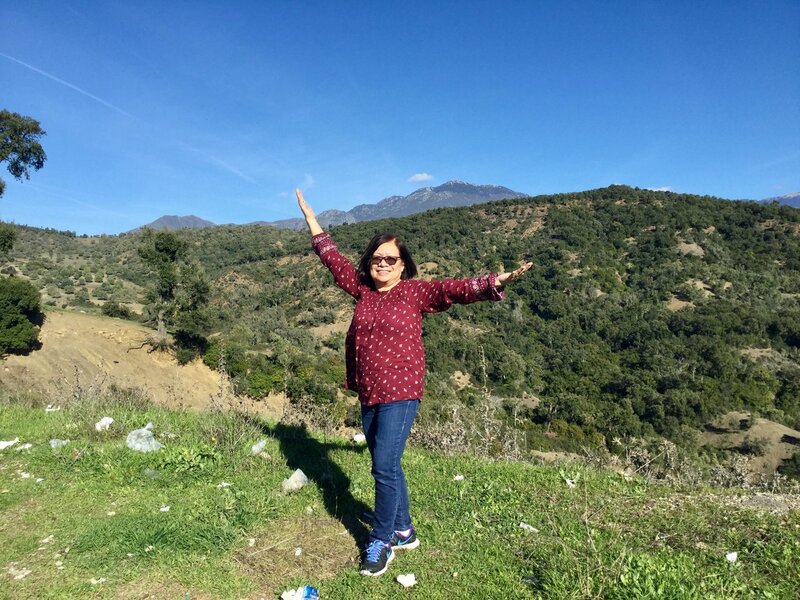 I am very pleased that you liked the Kimkim service - they have many other country specialist around the globe, maybe you can check in again to see where next with Kimkim! Larbi and his team took good care of us and service provided by all of them was very good and made our trip enjoyable. I am very pleased to read that you liked the services of Anzal Tours. It was a pleasure to work with you, to learn of your needs and to then shape your bespoke, private tour to be just as you wished it to be. I hope you have many good photographs and memories of your trip that will give you further pleasure long into the future. While we enjoyed our trip to this amazing country , I would have a some suggestions . We were two people on a private tour . All drivers or taxi services provide by company to have basic English ( or language requested by client ) . We struggled with this on our last three days , was tiresome . Also I had requested meals to be omitted , to offer more flexibilty , this was not done . So we ended up pay AUD 500 eac more , not totally sure what for . Our initial driver could have had more engagement / charisma . Felt he wa just ‘doing a job ‘ most of the time . One hotels and one meal below standard . We were not informed of our drivers name or called by Larbi initially to check if all was going smoothly . On the positive when we did contact Larbi if was very good . Our driver was flexible and adjusted our itinery so we got a full day on Fez . Overall had some great experiences, Morocco scenery , food and interesting weather ! Hello Vini. It is good to read that many aspects of your tour were great and positive. About those items that you found less so, I hope that they did not cloud your tour too much. In a developing country language can be a challenge sometimes and I am sorry that you found this to be this way for you. Most often we only hear good things about our drivers and Guides so this is unfortunate. There was discussion in the email conversations about what level of desert tent you wished but your final Trip Plan (stating all inclusions/exclusions) did not show a deluxe tent; as all your other accommodations were requested to be at 3*, a standard tent was booked for you (And it was this standard that was costed in). I hope that your meals eaten in the accommodations were enjoyable; I note one was not so good for you and I will seek to enquire about this. Our travellers usually like eating in their accommodations after a long day, when they can freshen up, relax and reflect on the day. I am pleased that you found my service towards you helpful whilst you were on tour. - Larbi, does not review the trip advisor ratings of places he books people into. He claims 3 stars, but the ratings are much worse and the experience is just as spotty. - the bathrooms in the desert saffari were terrible and the “standard luxury” tent was mattresses laid on carpets. There was no “luxury”. Clearly a bait and switch operation. - when we pointed out the poor quality about some of the places we were staying in, his reaction was pretty much take it or leave it, you are on your own. This was true especially on our last day in Casablanca. - we would NOT recommed using Larbi.